The International Journal of Energy, Environment, and Economics publishes original research papers that shed light on the interaction between the utilization of energy and the environment, as well as the economic aspects involved with this utilization. 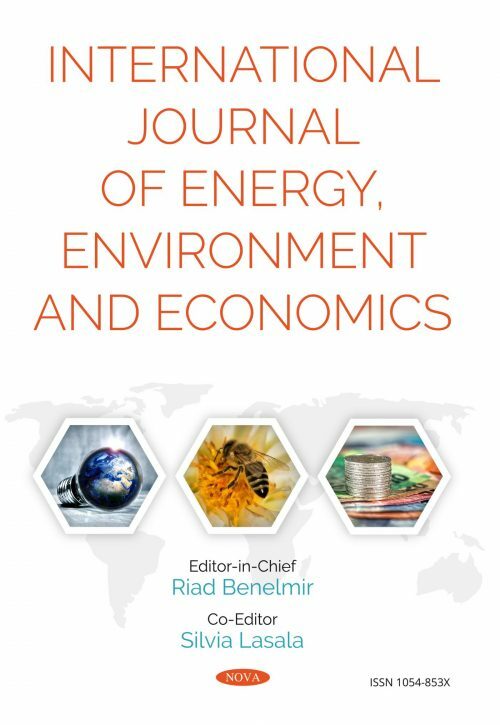 The Journal is a vehicle for an international exchange and dissemination of ideas in the multidisciplinary field of energy-environment-economics between research scientists, engineers, economists, policy makers, and others concerned about these issues. The emphasis will be placed on original work, either in the area of scientific or engineering development, or in the area of technological, environmental, economic, or social feasibility. Shorter communications are also invited. The Journal will carry reviews on important issues, which may be invited by the Editors or submitted in the normal way. International Journal of Energy, Environment, and Economics is a peer-reviewed journal that publishes four issues per year. The journal is owned and operated by Nova Science Publishers and funded entirely by subscription revenue and author-optional publication services. Articles should be submitted by e-mail directly to the Editor listed below.